Pitch Black Productions is proud to announce their newest signing, Eviscretorium. As of June 14th, 2012, Pitch Black Productions inked a 1 year worldwide management contract with the band and they had their first show with them the following night. Eviscretorium is a female fronted death metal act from Elmhurst, IL featuring powerful riffs, battering drums and vocals from the likes of the devil himherself. But wait there's more, rather than just being your typical death metal act, Eviscretorium enjoys putting on a bloody stage show for their fans slicing, chopping and smashing up victims of all kinds. If you missed their most recent show at Ye Old Town Inn (Mount Prospect, IL) on Friday make sure you check out their upcoming show at JD Muggs (Addison, IL) on July 15th featuring several of Chicago lands top death and thrash metal acts. Please be patient as Eviscretorium plans on entering the studio later this year to record their debut album. More details on that as they develop. Chicago, Illinois/Orlando, FL – Gothic, folk metalers URN, are proud to announce the addition of their newest member. Touring 8-string guitarist, Christopher Migdalski will be joining URN the remainder of their 2012 Summer Epiphany Tour for their Midwestern United States dates as well as all future tours as their Rhythm Guitarist. Christopher has been playing guitar for many years with Central Florida death metal veterans, Diabolic Intent. Diabolic Intent has played over 100 national and international shows and have opened for several national and international touring acts within Florida’s prestigious death metal community. Urn finished the Texas and Mexico leg of their 2012 tour and will now move onto the Midwestern dates. After that the band intends to take a break from touring to finalize the upcoming album “A Hard Winter’s Journey”. See the remaining tour dates below. Chicago, Illinois/Orlando, FL – Gothic, Folk Metalers URN, have been working studiously on their latest release, the upcoming album, “A Hard Winter’s Journey”. The band has been doing several recordings and mixes at Bombshelter Studios in Chicago with producer Dan Precision (Rise Against, Naked Raygun), Dominic St. Charles (Electric Hellfire Club) has also been recording various mixes at Studio 101 in Melbourne, FL. “A Hard Winter’s Journey” welcomes the new blood of composer/keyboardist Drake Mefessta (DiAmorte, Earthen) on the album as well as on all of the bands upcoming tour. The band is proud to announce these tour dates kicking off at the end of May in Texas followed quickly by their first trip across the Mexican border. After this initial tour, the band will return to the road at the end of July for a tour of the Midwestern United States. The band plans on playing a mix of songs both new and old including some early versions of songs off of the upcoming album. Along with the new album, the band is in talks with Brian Ferraro of Moondog Entertainment to shoot a video for the upcoming single “Black Widow” in late summer/early fall. 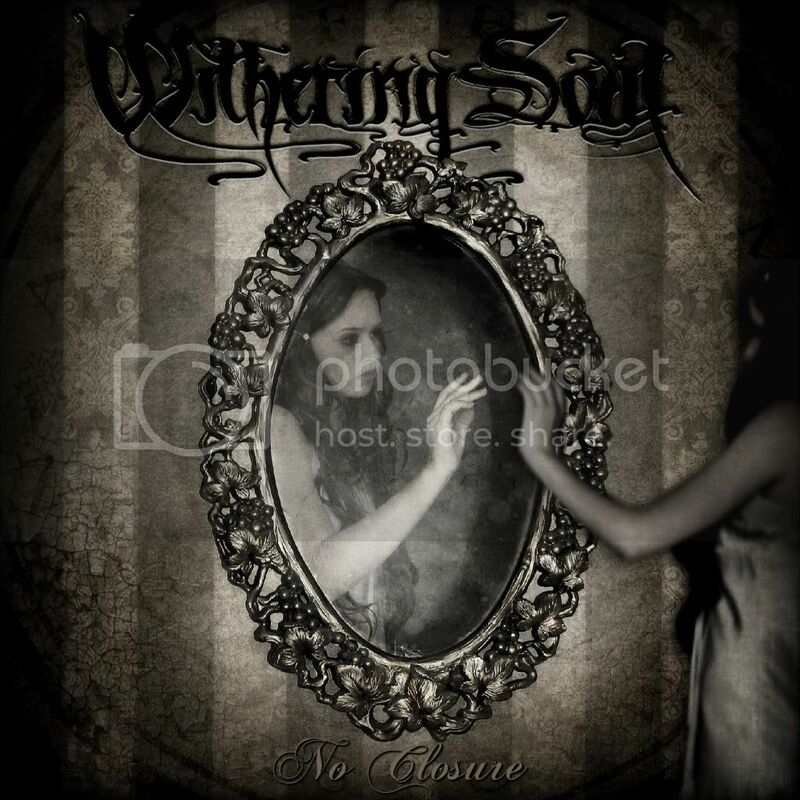 Roel de Haan: Hailing from Chicago, Withering Soul comes up with their first album No Closure. 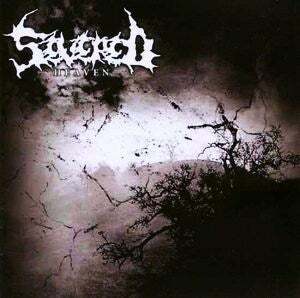 Fundamentally, this is a symphonic black/death metal record with some gothic elements thrown in for good measure. But there is a twist: they are rather extreme for the style. Especially the drumming seems way too extreme for this type of music. However its not much of nuisance and you soon get used to it. 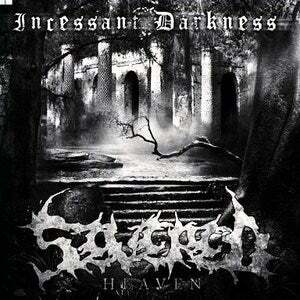 The screams remind me of Ihsahn during In The Nightside Eclipse. In fact, the music generally seems like an Americanised, extreme rendition of that album. Although I may be over-simplifying things here, the sound is very modern indeed. Intensity and diversity are keywords here as there are plenty of both on the album. Maybe there should have been more breathing space on the record. Nevertheless, No Closure is a good album full of energy and sometimes thats all you need to enjoy an album. URN® STREAMS NEW SONG ONLINE FROM UPCOMING ALBUM "A HARD WINTER'S JOURNEY"
Chicago, Illinois-based gothic/folk metal band URN has announced that they have posted a new demo track from their upcoming album, A Hard Winters Journey, for streaming online. 'Cast In Amber' will be available for listening on the bands ReverbNation page as well as their other social media sites such as Facebook, MySpace, Number One Music and Twitter. The 'Cast In Amber' song, along with three other songs were recently recorded by Dan Precision at Bombshelter Recording Studios in Chicago. The band is eagerly planning to finish up the album with the new lineup and then hope to be shopping labels for their fourth studio release very soon. On another note, URN confirmed one of their first dates of 2011 preceded only by their show with TROUBLE, EARTHEN GRAVE and ADD earlier this year. On April 28th, URN will once again take the stage in support of New York industrial metal band HANZEL UND GRETYL at Mojoes in Joliet, IL. URN is currently working on their 4th studio album, A Hard Winters Journey, and will be shopping labels very soon for it's release. URN, the Chicago-based gothic/metal band, officially announced today that former drummer, Jeremiah Link, has officially returned to the band after a several month absence. In the interim, URN had been working with Nick Kapka, a long-time drumming veteran as a temporary replacement for the fall tour dates and expressed major interest in joining the band on a full-time basis. However, after careful consideration, Mr. Kapka concluded that with his schedule and other commitments that it would not work out for both parties in the long term. Mr. Kapka, fulfilling is obligations to the group did record with them as they have just completed recording demos for their upcoming fourth album, A Hard Winters Journey, recording again with Dan Precision (RISE AGAINST, NAKED RAYGUN) at Bombshelter Studios in Chicago this past week. Mr. Link whom had parted ways with URN on very amicable terms at the end of July last year had stayed in constant contact URNs founder/lead singer/guitarist, Dominic St. Charles, and occasionally the two spoke of his possible return to the band if the situation was right. Mr. Link now resumes his role as the bands full-time drummer and the band is currently finalizing tour dates for summer and fall of 2011. All female UK death metal band SEVERED HEAVEN are back with a vengeance and packing an almighty punch, high-kicking their way into 2011 and beyond with their latest album, Incessant Darkness, and upcoming UK tour with the addition of new drummer Hayley Morgan to the mix. With the new line-up now complete, the band is refreshed and ready to continue their soul-destroying decay of the UK, holding the reigns for brutal female-led metal and continuing to carry Severed Heaven to total extremities. The girls have gone from strength-to-strength through their four year journey, with shows across the UK and terrorizing audiences alongside acts such as GORGOROTH, GALLHAMMER, SWORN ENEMY and SHINING, to name a few. Says the band, "We are really excited to have Hayley on board and can't wait to unleash an even more brutal sound at our upcoming live dates, more of which are to be added shortly, including some extra special ones! We would like to say a massive thank you to everyone for the support and congratulations to Anna Stewart, who is expecting her first baby in July." Eager listeners can get a preview of the album on the bands MySpace with the full length album single, 'Tides Of The Accursed'. The album is set for release on March 8th but is currently available for pre-sale at several websites including Amazon.com." URN, the Chicago-based gothic/metal band officially announced today their new additions to the line-up for 2011 and for their upcoming album tentatively entitled A Hard Winter Journey. Nick Kapka, a long-time drumming veteran has worked with classic metal bands such as THE PLAGUE started working with Urn in September as a temporary replacement drummer on some of the fall tour dates and now joins the band on a full-time basis. Tracy DeMarco also officially joined Urn as their new keyboardist/female vocalist and will be lending her skills as composer and Celtic/classical harp player for the bands upcoming album. Since coming to Chicago, Tracy has performed as a harp soloist and joined forces with many other talented area Chicago musicians, including jazz and rock performers. Founder of the electro-acoustic, ambient recording project, THE GLASS HOUR, Tracy continues to create unique, atmospheric soundscapes. Jenna Scifres, also joins the bands ranks as the acoustic and electric violinist bringing a great deal of experience having worked with many rock bands as well as traditional Celtic groups such as the FOUR LEAF ROVERS. Urn plans to debut Ms. DeMarco and Ms. Scifres as well as select songs from the upcoming A Hard Winters Journey album as part of their performance in the Chicago Holiday Hellraiser at the Double Door on Tuesday, December 21st.